The Gardner Historic House: 2015 OPEN HOUSE ANNOUNCED !!! 2015 OPEN HOUSE ANNOUNCED !!! 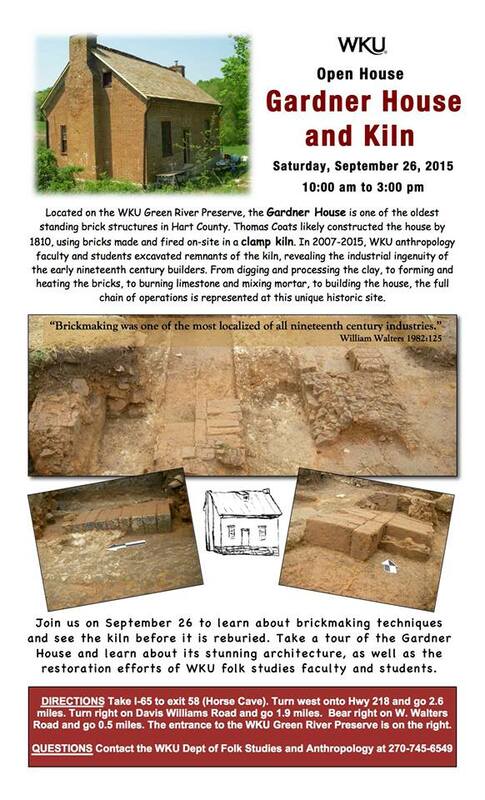 We'd love to see you at the 2015 Gardner House and Kiln Open House Saturday 9/26/15 from 10am to 3pm. If it's been a while since you've visited the Gardner House, you'll be pleasantly surprised at the progress. Also, this Open House is unlike no other. It is a once-in-a-lifetime opportunity to view not only the Gardner House, but also the excavated remnants of the on-premises clamp kiln before it is reburied. This is the kiln in which we believe the bricks for the Gardner House were fired. Please feel free to copy the attached invitation and forward this information via email or social media. Thank you so much.